Weiner says he "lied because he was ashamed" and "didn't want to get caught"
(CNN) -- A week after claiming a hacker had posted a lewd photo to his Twitter account, U.S. Rep. Anthony Weiner on Monday apologized for lying about the incident and admitted carrying on inappropriate relationships with several women he'd met online. Weiner, a New York Democrat, said he is not resigning his seat, nor is he planning on separating from his wife. But he said he took "full responsibility" for his actions -- both the relationships and for lying about sending the photo last month of his bulging underwear on his Twitter account. "To be clear, the picture was of me, and I sent it. I'm deeply sorry for the pain this has caused my wife, and our family, my constituents, my friends, my supporters and my staff," he said, claiming he'd posted the Twitter photo accidentally as a "joke" and then "panicked." "I lied because I was ashamed at what I had done, and I didn't want to get caught." An emotional Weiner described his actions as "dumb," "destructive" and "deeply, deeply hurtful" -- both for his admitted coverup and for repeatedly engaging in "inappropriate conversations conducted over Twitter, Facebook, e-mail and occasionally on the phone" with women he'd met online, mostly via Facebook. The congressman claimed that he never met any of these women in person, and that his wife Huma only learned he'd been lying about the Twitter picture on Monday morning. "I have made terrible mistakes," Weiner told reporters. "I have not been honest with myself or my family. ... I should not have done this, and I should not have done this particularly when I was married." Weiner claimed he does not believe he used any government resources, while he "exchanged messages and photos of an explicit nature with about six women over the last three years." Some of those relationships began before his 2010 marriage and some happened, and continued, afterward. Still, House minority leader Nancy Pelosi announced that she would call "for an Ethics Committee investigation to determine whether any official resources were used or any other violation of House rules occurred." Weiner issued a statement saying he would "welcome and fully cooperate" with the probe, which other Democratic leaders also rallied behind. But one Republican source called the move "hollow," saying Pelosi should have insisted that Weiner resign -- as former Rep. Chris Lee, a New York Republican, did in February amid reports that the married man had tried to solicit women via Craigslist. The seven-term congressman said during his press conference that he'd talked with Pelosi briefly that day, saying she was "not happy" but "also told me that she loved me and wanted us to ... pull through this." He hails from New York's solidly Democratic 9th district, which includes parts of the New York City boroughs of Queens and Brooklyn. He handily won re-election last November, besting his Republican challenger by 22 points. If Weiner were to resign or be compelled to leave office, New York Gov. Andrew Cuomo, also a Democrat, would determine the timing of a special election to replace him. Will the public forgive Weiner? Rep. Weiner: What was he thinking? Monday afternoon's admission came hours after images were published on BigGovernment.com, a conservative website run by Andrew Breitbart, that purportedly showed Weiner shirtless. Before the congressman spoke at his scheduled 4 p.m. press conference, Breitbart -- who claimed he just happened to be staying at a hotel a few blocks down -- unexpectedly took over the podium to challenge Weiner and the media and defend his site's story. "This is an ongoing story, this is a compelling story," said Breitbart, bristling at reports he orchestrated the issue for political purposes and was responsible for hacking Weiner's account. "I did not like that he doubled down that this is about Breitbart." The conservative blogger also claimed that he had, in his possession, another "X-rated" photo allegedly from Weiner that he said he wasn't releasing because he hoped "to save (Weiner's) family." "I'd like an apology," a defiant Breitbart said. "This was his strategy, which is to blame me for hacking." During his press conference, Weiner apologized "to everyone that I misled in the media" -- including Breitbart -- but most of all to his wife. 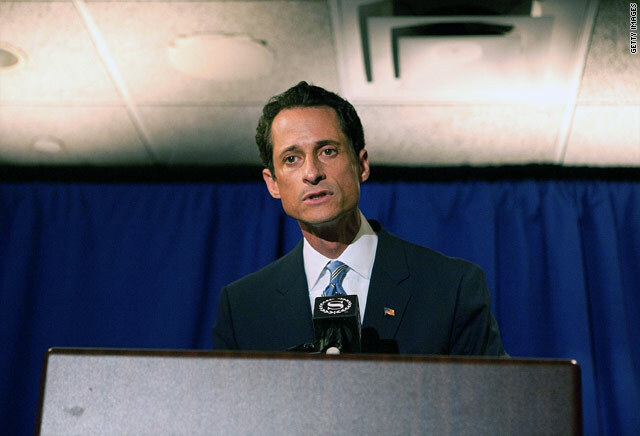 "This was me doing a dumb thing, and doing it repeatedly, then lying about it," Weiner said. Breitbart's website was the first to publish an incriminating photo, sent May 27 via Twitter from Weiner's account of a man in his underwear. Weiner initially released written statements claiming that he was the victim of a hacker and a prank. Then, during a testy press conference, he dodged questions about whether the photo was of him and why he hadn't asked law enforcement to investigate if his account had, indeed, been compromised. The following day, in a series of interviews, he said he could not say with "certitude" if the photograph was of him. He has also deflected recent questions from CNN, saying he had hired an attorney at the firm of Baker Hostetler to look into the matter. The woman who received the Twitter photo in late May, Gennette Cordova, denied on her own account that she was one of the six women who Weiner admitted having an "inappropriate relationship." But ABC News reports that Meagan Broussard, a 26-year-old single mother from Texas, provided them with dozens of photos, e-mails, Facebook messages and cell phone call logs related to her relationship with Weiner. In a posting on BigGovernment.com, Broussard said she was a U.S. Army veteran and full-time college student who, on April 20, went to Weiner's Facebook page and commented that the congressman was "hot" on one of his videos. She said the two began corresponding "within an hour," adding that she didn't know if he is a "horrible person" but decided to speak out after hearing he'd "hired an investigative firm to go through all of his files." CNN has attempted to contact Broussard, but she could not be immediately reached for comment. 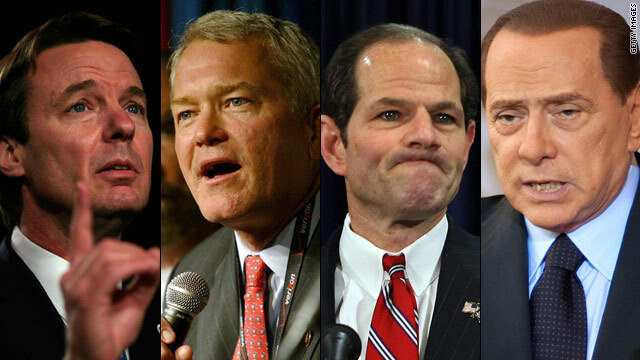 Many Democrats first rallied around the liberal congressman. But members of the House Democratic leadership have talked repeatedly in recent days to try to get him to end what has become an unwelcome political distraction, a member of the party's leadership told CNN before Weiner's press conference Monday. "It's frustrating because we'll talk to him, and say clean it up, and then he goes out and does stuff," said the member of the House Democratic leadership, who declined to speak on the record about private discussions with Weiner. "He's got to put the period at the end of the sentence," the Democratic source said before Weiner's confession. "It's painful." Whatever voters might decide in 17 months when he's next on the ballot, CNN contributor and longtime Democratic insider James Carville said that Weiner has hurt himself considerably among fellow members of his party. One big reason is that his wife, Huma Abedin, had been a longtime aide to Secretary of State Hillary Clinton -- with former President Bill Clinton even officiating the couple's nuptials last July. "Right now, the Democrats are furious at this guy," said Carville. "He is married to one of the most popular people in the Democratic party."